Like to know tip for iOS beginners – how to delete apps from iPhone and iPad permanently? Cause iOS is the totally different platform than other Smartphone OS likely Android, Blackberry and Window Phone. Whatever App installing method might be little same but deleting way different. There are two ways to delete apps permanently from iOS 11/ 10.x/ 9 / 8.4 (iPhone/iPad). 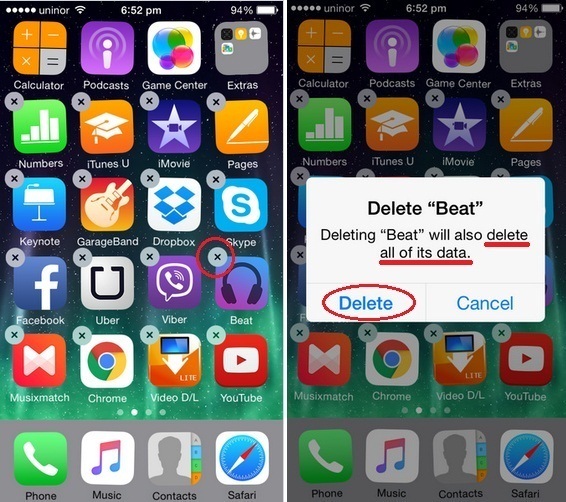 You can learn alternate ways to deleting apps from iPhone/iPad easily, in them a shortcut way also to delete apps from iPhone and iPad permanently. 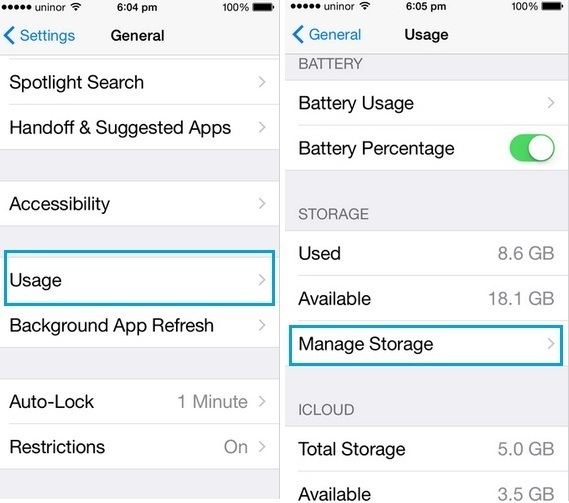 We recommend you should be removed unnecessary and fewer use apps from your iOS device. The reason of that they inhibit unnecessary space on your Minimum GB iPhone or iPad. Want to increase iPhone space? As an example, I’m going to deleting the USA’s bank Chase iOS app permanently from my iPhone that experience listed below in steps wise. Step 8. 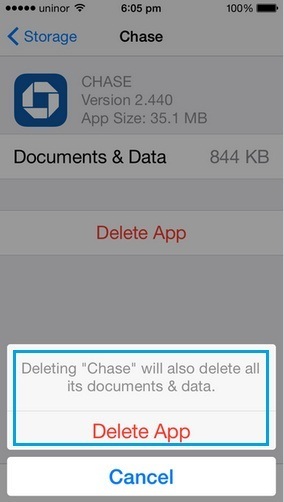 Therefore you’ll get particular app Deleting option, App Version, and App Size as well as App Documents & Data size. Note: if you can’t see delete app option then make confirm that the Deleting Apps restriction is disabled. 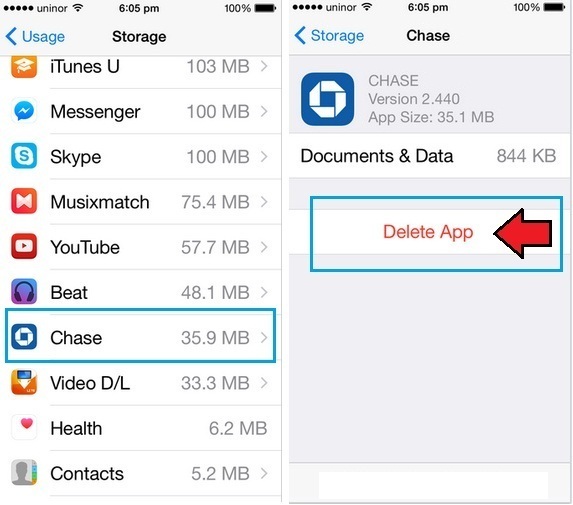 Get more idea about restriction for deleting app. Step 9. Tap on Delete App, then you get a popup will ask you deleting app will also delete all its document & data. If you’re really want to delete that app then, Tap on Delete App otherwise go with the Cancel. Step 1.On your iPhone/iPad Home screen Tap and Hold on the app which you want to remove permanently from your iPhone or iPad. Step 2. You’ll see all apps are wiggle and appear (X) mark symbol on all app but go on that app which you don’t like. Now, this app has been deleted from iPhone or iPad permanently. Hope you got success, however, please share with us and to know us how to seem this post on to delete apps from iPhone and iPad permanently.